The Navy’s Submarine Electronics / Computer Field (SECF) offers extensive training in the operation and maintenance of “Today’s High Technology” advanced electronics equipment, digital systems, and computers used in submarine combat control, sonar, navigation, and communications systems. An individual selecting SECF will receive training in electricity, electronics, computers, digital systems, fiber optics, and electronics repair. The standards for selection for enlistment in the Navy’s Submarine Electronics/Computer Field are high. Personnel interested in applying for the Submarine Electronics/ Computer Field should be seriously interested in pursuing the challenge this highly technical field offers. They must be mature, ready to take on significant responsibility and willing to apply themselves. Volunteers for the Submarine Electronics/Computer Field will specialize in one of three Submarine Ratings ( Electronics Technician – ET, Fire Control Technician – FT, Sonar Technician Submarines – STS), working in one of four areas: combat systems, communications, navigation or underwater acoustic technologies. All three ratings/four specialty areas are heavily involved with computer and electronics systems. The combat systems specialty (FT) is responsible for all operational and administrative aspects of the submarine’s computer and control mechanisms used in weapons systems and related programs (including all Submarine LAN systems). The communications specialty (ET/RF) is responsible for all operational and administrative aspects of the submarine’s radio communication equipment, systems, and programs (including submarine LAN systems). The navigation specialty (ET/NAV) is responsible for all operational and administrative aspects of the submarine’s navigation and radar equipment, systems, and programs. The acoustic technology specialty (STS) is responsible for all operational and administrative aspects of the submarine’s computer and control mechanisms used for underwater surveillance and scientific data collection. The specialty area is determined at Basic Enlisted Submarine School. Active duty obligation is five years. Applicants will enlist for four years and concurrently execute an agreement to extend their enlistment for one year. Enlistees enlist as E-1s (seaman recruits). Completion of all advancement-in-rate requirements (including minimum time-in-rate) must be completed prior to advancement to E-2, E-3, and E-4. Top graduates of initial “pipeline” training may elect accelerated advancement to E-4 if they execute an agreement to extend their enlistment one additional year (six years total obligation). Advancement in this field to E-4 (Petty Officer Third Class) is excellent. This rating is open to men who volunteer for submarine duty. Submarine pay is paid monthly upon the start of Basic Enlisted Submarine School, currently $75.00 to $425.00. All submarine ratings are members of an elite community consisting of highly professional, well-trained personnel. Upon advancement to E-4, submariners receive sea pay, in addition to submarine pay. The American Council on Education (ACE) guide recommends that semester hour credits be awarded in the vocational certificate or lower-division bachelor's/associate's degree categories for courses taken in this rating on basic electricity and electronics, applied mathematics, circuit theory, systems maintenance, and communications. 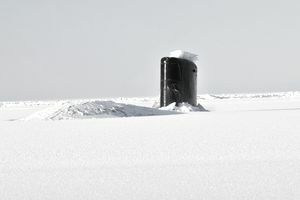 Submarine Electronics/Computer Field technicians must be U.S. citizens eligible to meet security clearance requirements. Important qualifications include knowledge of arithmetic, the capability to understand modern computing devices, the ability to speak and write well, function as a member of a team, do detailed work and keep accurate records. Additionally, they must possess some physical strength and good manual dexterity. Active duty obligation is six years. Applicants must enlist for four years and concurrently execute an agreement to extend their enlistment for 24 months to accommodate the additional training involved. Personnel selected for nuclear training enter the Navy in pay grade E-3. Accelerated advancement to pay grade E-4 is authorized after personnel complete all advancement-in-rate requirements (to include minimum time in rate) and “A” School, provided eligibility for the NF Program is maintained. Duties in this rating are usually performed aboard submarines. Submarine Electronics/Computer Field personnel usually work indoors in a clean, controlled environment with comfortable temperatures. However, some work is required in a clean or dirty environment of a shop-like nature. Their work may be independent in nature, but they usually work closely with others under direct supervision. Security Clearance, (SECRET) required. Closed to women. Must be a U.S. Citizen. Enlistee is taught the fundamentals of this rating through formal Navy schooling. Advanced technical and operational training is available in this rating during later stages of career development. ET(SS)s serve on submarines and shore stations in the United States and overseas. ET(SS)s who become careerists will attend further training at Class “C” Schools that provide advanced maintenance instruction on specific equipment they will be maintaining. During a 20-year period in the Navy, ET(SS)s will spend about 60 percent of their time assigned to fleet units and 40 percent to shore stations. FTs serve on submarines and shore stations in the United States and overseas. FTs who become careerists will attend further training at Class “C” Schools that provide advanced maintenance instruction on specific equipment that they will be maintaining. During a 20-year period in the Navy, FTs will spend about 60 percent of their time assigned to fleet units and 40 percent to shore stations. STSs are assigned to serve on submarines and shore stations in the United States and overseas. STSs who become careerists will attend further training at Class “C” Schools that provide advanced maintenance instruction on specific equipment they will be maintaining. During a 20-year period in the Navy, STSs spend about 60 percent of their time assigned to fleet units and 40 percent to shore stations.